Palate: A sweet berry fruitiness with a slightly confected note reminiscent of jellied sweets. The fruitiness moves onto succulent watermelon note and an earthy sweetness. Finish: Gentle pepper spice and a blend of strawberry and parma violets. Comments: Fruity and floral is the name of the game with this. It would be good in a Bramble or with iced chamomile tea. Nose: Beeswax, honey and fresh floral scents with grapefruit and lemon aromas and just a hint of peppery spice. 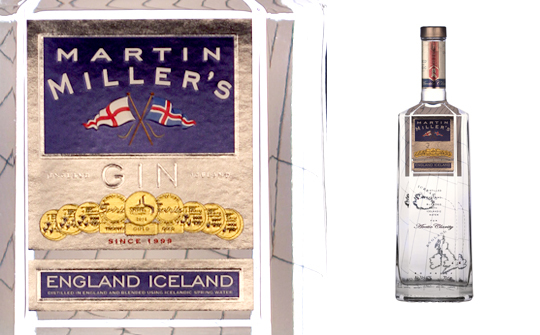 Palate: A light and refreshing gin with a delicate balance of juicy citrus fruits and gentle spices. Finish: Citrusy and clean. Medium length. Comments: A pleasant drink. Apart from enjoying with a light tonic with ice and lemon, try in a Tom Collins cocktail: combine 30ml of gin, 15ml lemon juice and 10ml sugar syrup in a tall glass with ice, top up with soda water, stir, and garnish with a lemon slice.